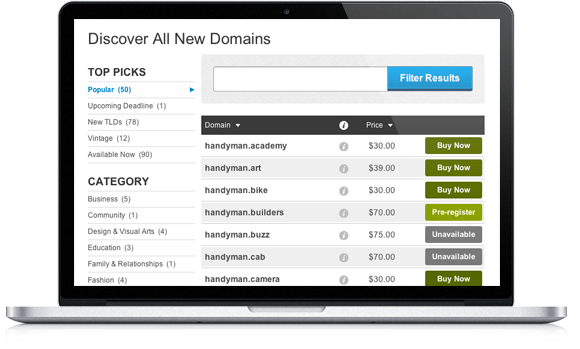 search — so you can easily find your perfect new domain. Start by typing in a name/keyword you want in the search bar. We've helped narrow your choices by suggesting some domains we think you will like based on popular options and relevancy to your search terms. Want more selection? We've got that. Discover all our new domains! Browse by most popular, vintage (.ca, .com) or by category such as; business, food & drink, design, health, and many more! 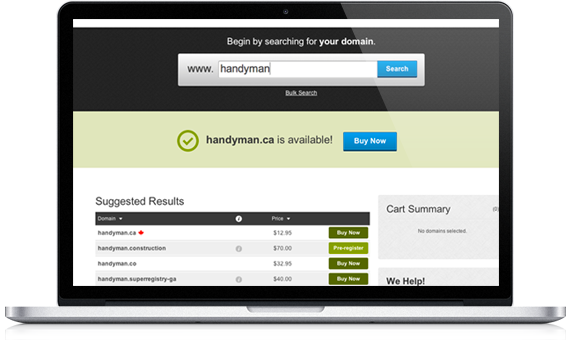 Select your domain by clicking "Buy Now". If a domain you want says "Pre-Register", it means that the domain is currently being offered in Pre-Registeration phases, increasing your chances of securing this domain. If for any reason we can't get it, your fee will be fully refunded. 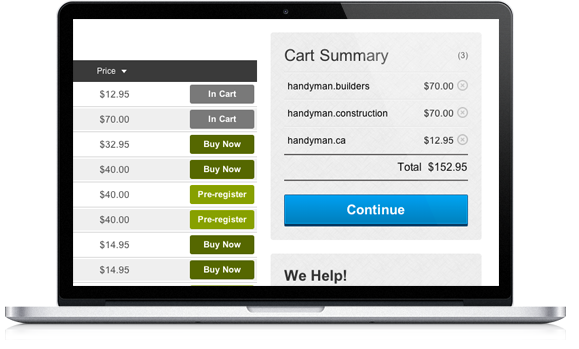 Final step, purchase and secure your domain by clicking continue. See the possibilities within hundreds of new domains by browsing our watchlist or better yet subscribe to our mailing list in our footer for frequent updates on new domains opportunities.